-Need an easy way to calculate your GPA? -What grades do you need to reach your goal GPA? -How will repeating a course affect your GPA? Let the University Advising Center's MyGPA calculator do the work for you! Get started by selecting a GPA type. Please select a GPA type. Access your academic transcript from WISER to find the information needed for the calculations. In the Current Term Courses Table, enter the course name, the GPA units, course grade, course name. 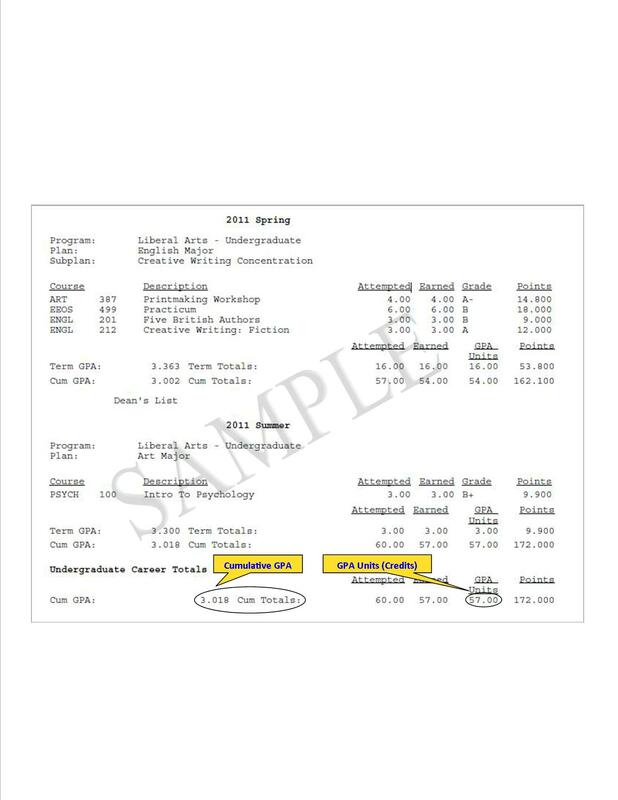 In the Transcript Information Table, enter your cumulative GPA units (credits) and cumulative GPA. In the Current Term Courses Table, enter the course name, the number of GPA units (credits), expected course grades, and if repeating a course, check the Repeat Course box and indicate the previous grade. Current semester units, including any repeated units. Optional: In the Current Term Courses Table, enter the GPA units, expected course grade, and course title of your current semester courses. And, if repeating a course, check the Repeat Course box and indicate the previous grade. Disclaimer: This calculator is not official and the results are neither associated with, nor are a predictor of your UMass Boston record. Results are based only on the data you supply. For instructions to manually calculate your GPA visit the Office of the Registrar website.